A while back we went to an Alto Adige Wine Tasting Dinner at Enoteca Turi and got chatting to Stuart and his wife. It turned out Stuart was chairman of The Wine Society Dining Club. He invited us to their next dinner but alas we had prior arrangements. 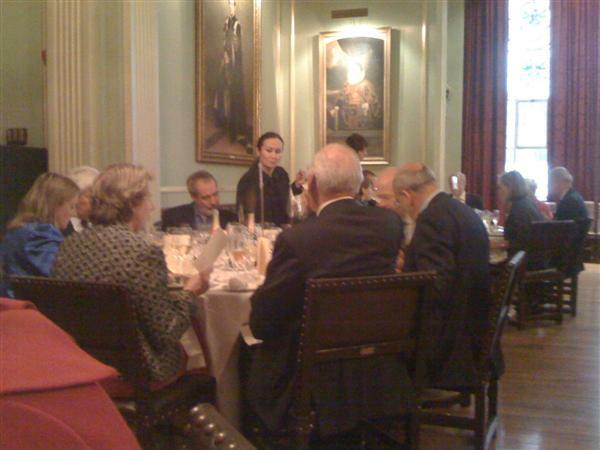 However time passed and we were able to make Thursday's dinner which happened to coincide with their AGM. The nature of these dinners is such that, even if you know no one, you can be sure to have an enjoyable time. 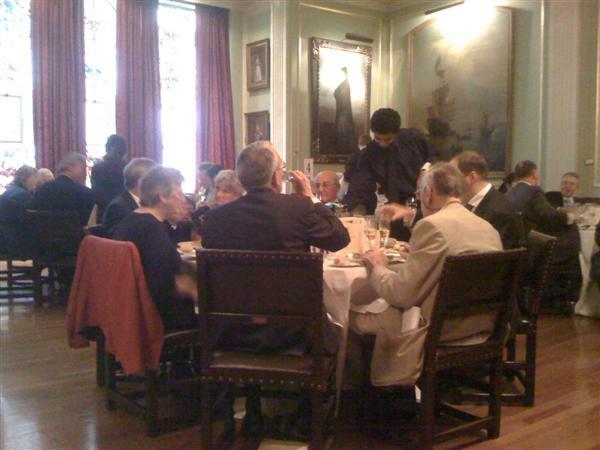 People who go to such events are self-selected to be types who enjoy good food, fine wine and convivial company. 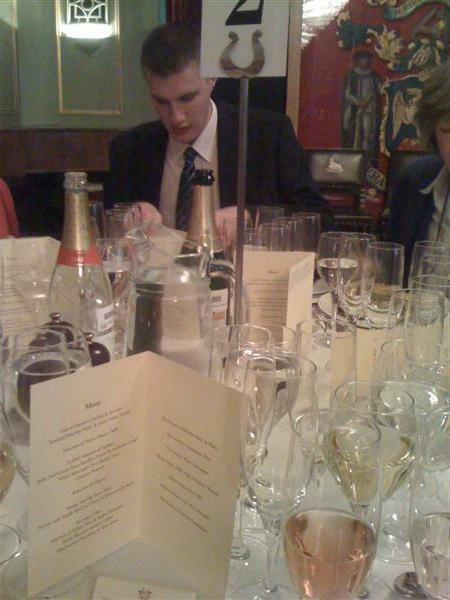 The theme of the dinner was Champagne Alfred Gratien with a guest speaker from the house that supplies much of the Wine Society offerings.